Villains. Throughout cinematic history, audiences have seen many come and go. They've booed them, hated them, loved to hate them, and sometimes even rooted for them. Before we get into the logistics of what makes a villain a villain, what drives them, and what types of villains fit best into any given genre or story, we must first define the word and differentiate it from another classic cinematic term. Most writers will say that they are one in the same, however, at times, nothing could be further from the truth. Villains are defined as "evil" characters intent on harming others. Antagonists are defined as characters that work in opposition of the protagonist (the hero). Villains aren't always the antagonists -- often, but not always -- and antagonists aren't always the villains. Case in point, Samuel Gerard (Tommy Lee Jones) from The Fugitive. While he is clearly the antagonist by definition -- he is in opposition to Richard Kimble's (Harrison Ford) escape -- he is not the villain because there are no evil intentions. So there is some gray area to be sure. Villains and Antagonists (and even Protagonists to a degree) do not live in a black and white world in the realm of cinematic and literary storytelling -- a lesson that most writers can learn from. The best stories often blur the lines between antagonist, villain, and protagonist. ScreenCraft has covered protagonists very well in Four Keys to Developing a Strong Protagonist and Five Keys to Making Your Protagonist Likable, but what makes a villain a villain? From the definition and breakdown above, we know that villains often have evil intentions that oppose the protagonist. I say "often" because that's not always the case. How do we define evil? Cinema is subjective so we could argue this point all day, however, when looking at your own characters and stories, you need to put that term in a certain context depending upon what type of genre that "villain" is in. So the word "evil" must be looked upon in a certain context, namely through the eyes of the protagonist. In fact, one of the greatest villains in cinematic history is Man. Man is the personification of evil in Disney's Bambi. Now, we all know Man (in general at least) isn't evil, however, in the eyes of Bambi, Man killed the one Bambi loves for no good reason. So it's all in the context. With all of this gray area, how can writers differentiate between types of villains and what makes them do what they do? And how do writers know if a certain type of villain fits well into the context of their genre or story? Here we've taken a look at some of the greatest villains of all time, many of whom are present in AFI's celebrated 100 Heroes and Villains, and many of whom didn't make that list -- or came after it -- but stand ever-present in the halls of cinema's best villains. While labeling villains is a difficult task, know that these are the general villain types in cinema, television, and literature -- types that can be blended into whatever hybrid villain any given story needs. The Anti-Villain is pretty straight forward. 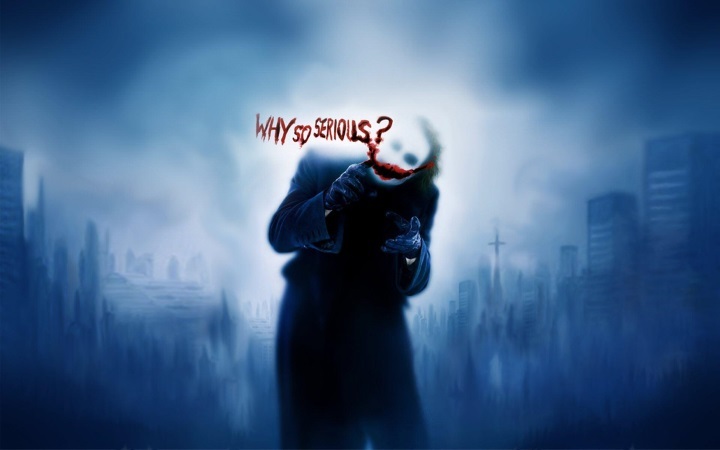 While their intentions may be evil, such characters are present in the type of story that showcases that "villain" as having characteristics that are appealing or sympathetic to the audience. Anti-Villains are often, but not always -- in the case of Hannibal Lecter -- the forefront of the story. One could even say that they are written as the protagonist, as is especially the case in Pulp Fiction with Vincent and Jules. Make no mistake, they are evil. They have done some evil things. You could put those characters in other categories below, namely The Criminal, however, because we learn more about them and learn that they have appealing and sympathetic characteristics, and because we are seeing much of the story through their perspectives, they've now become Anti-Villains. The Authority Figure is often an example of how "evil" is defined in terms of context. These three characters above are perfect examples. The Authority Figure represents opposition to a character's free will. This type of character excels in a wide variety of genres, but often are more prevalent in comedies and dramas. Audiences always identify with opposition to authority. In films like the above, it's easy to see that the protagonists look upon these characters as "evil" despite the fact that in the end, for the most part, they are just doing their jobs. That's not to say that they are doing them right or well, but their intentions are to run a school, run an office, create soldiers ready for war, etc. The Beast could just as easily be defined as Mother Nature (see below), however, we differentiate because the struggle is all too often much different between the two. The Beast has intent, whether it be due to their instincts or through the need to feed. Mother Nature is just ever present with no intent and humans and animals alike must survive through it. The Beast is something that is unleashed, stumbled upon, or stalking with the intent to kill. This type of character flourishes in horror and thriller genres. It can also be blended into other villain types, as is the case with the Alien in Alien. In the context of Alien, the alien is a beast rather than just a mere extraterrestrial. The Bully is straightforward opposition to the protagonist, often for little to no reason beyond the psychological explanations as to why bullies do what they do, whether it be due to stance in society (The Socs), lack of quality ethics or morals (Ace Merrill), or just outright meanness (Biff Tannen). Given what each of those films tell us -- or don't tell us -- about The Bully, it's simply a character that all audiences can identify with, thus it's a character that is best saved for dramas and comedies, as you'll see with the above examples. Action, thrillers, suspense, and other sub-genres like crime thrillers require a bit more in their villains. With The Bully, less is required. They're just mean to be mean with little to no explanation needed. The Corrupted are often those that were once good, but have fallen. Look no further than Michael Corleone for a perfect example. If they haven't fallen, they are simply characters that are in positions of authority that should be good, but aren't. Corrupt cops, corrupt businessmen, corrupt politicians, etc. We also include supernatural intervention in the likes of Regan MacNeil and Jack Torrance. Their souls are corrupted. This is a very broad category and can apply to stories in almost all genres, namely dramas, thrillers, crime thrillers, horror, action, etc. Comedy isn't as represented by The Corrupted villain, but there could be a place for them in any context. The Criminal is just that... a criminal. They often broadly represent villains that are in it for money and power. And they will all too often do whatever it takes to get it. The Criminal is obviously most present in the crime thriller or crime drama sub-genres, however, they play well in action and dramas as well. Characters classified as The Criminal can often be considered as The Anti-Villain as well, as is the case with the wiseguys in Goodfellas, especially Henry Hill. The Disturbed can be a very broad villain type. The Joker (see below) could easily be put into this category by some, however, we're given no real insight into why he is the way he is -- hence his classification below. We define The Disturbed as those with clear psychological problems. Norman Bates and Annie Wilkes are perhaps the perfect examples, both of whom are present in the horror genre. The key factor for a villain to fall under The Disturbed type is that they showcase some clear inner personality struggles. With both Norman and Annie, we see that they have a gentle and sympathetic side. We see qualities that make us sympathize for them. However, unlike the Anti-Hero type, we clearly do not find ourselves rooting for them by any means. This villain type is best represented by the horror and suspense thriller genres, because the fact that they are disturbed means that they will clash with the protagonist, often in violent and unpredictable fashion. The Equal isn't as represented in most genres compared to others. The Equal shares the same skills, knowledge, and/or savvy of the protagonist, however, the ethics between the two are quite different. We know that Zod has the same powers that Superman has. They are equal in that respect. However, they differ in ethics and morals. And for Heat? Well, look no further than this iconic scene to showcase how the villain and protagonist are equal. In fact, this is another perfect example of gray area because McCauley is also clearly an Anti-Villain. Regardless, let's look at him in this context as The Equal. The Equal is usually found in superhero, action, and thriller genres because it's enticing to watch two characters with similar characteristics but different ethics and morals going head-to-head, which leads to action and thrills most of the time. The Femme Fatale is one of the most classic villain types. An attractive and seductive woman, especially one who will ultimately bring disaster to a man who becomes involved with her. Because this villain type will clash with the protagonist, she best fits into the thriller genre, namely the sub-genres of crime thrillers, spy thrillers, and film noir. This villain trope can often be utilized in comedies as well, and needless to say is in almost every James Bond movie. The interesting aspect of this villain is that the Femme Fatale can work both sides of the conflict, and can even come out as a protagonist in the end... or not. Look no further than the end of Basic Instinct. The Henchman is the one that works for either The Mastermind or the overall major baddie of the film. They are often the most skilled, the most lethal, and the most ruthless of villains. They exist to do nothing but the bidding of their boss, which often means that they are in nothing but constant conflict with the protagonist -- and they're doing all of the dirty work that The Mastermind can't or won't do. They prevail in the action and spy thriller genres especially. The Machine is often one of the most terrifying of villains because they are lifeless. They have no emotion. And they can't feel pain or fear. They are cold and calculating. The Machine is obviously best represented in the science fiction genre. Kyle Reese explains the draw of writing such a villain through his classic description in the below clip. The Mastermind is a favorite in the spy thriller genre especially, namely in almost every James Bond film, although we often see them appear in action movies as well. This is the brilliant and ruthless character that oversees the whole diabolical plan that is in opposition to the protagonist's, however, all too often, they are not the characters directly opposing the protagonist -- in a physical sense at least. That's what they have The Henchman for. Everything may lead to a final confrontation of sorts, but most of the time The Mastermind is just that -- the mind -- while The Henchman works as the muscle. What greater threat than Mother Nature herself? She is unforgiving. She is all powerful. She is always unstoppable. The protagonist can't stop the twister, the storm, the tsunami, the ocean, or any of the elements. Sure, they can stop the virus, but a majority of the time the virus prevails, either killing most of the population or making zombies out of all of them. But the elements are impossible to stop. Protagonists can only survive until Mother Nature decides to move past them. This villain type can be found in dramas like The Impossible, but most often are showcased in their own sub-genre, the Disaster Flick. The Personification of Evil is just that -- pure evil. The character is offered little to no backstory. Their motives are nothing more than performing evil doings, which obviously oppose the protagonist's journey. While Darth Vader was given a backstory, in Star Wars: A New Hope George Lucas was adamant that the good guys and the bad guys would have no gray area between them. The above examples, at least within the context of the films mentioned, are full force evil doers through and through. You could argue that Alex from A Clockwork Orange is dancing the line between The Disturbed and The Personification of Evil, but we're pushing him into this category because the acts that he does perform are so outright evil that it overshadows any hope that the character has a true good side in the end. These villains can appear in all genres, but prevail in fantasy especially. Sauron is the ultimate example of The Personification of Evil. Ghosts/Demons -- Poltergeist, The Amityville Horror, Paranormal Activity, etc. We combine these two villain types because they are all too often so similar, whether it be hauntings or alien abductions, and often fall in the same vein as faceless foes in horror, science fiction, and suspense thrillers. We broaden it a bit to include the Martians and Aliens because they too are faceless entities that are inhuman, in which case the villain type plays all too well in science fiction. While Freddy Krueger and Jason Voorhees could just as easily be The Personification of Evil, in this context, they are supernatural beings that haunt their prey, be it in physical or supernatural fashion. All fifteen of these villain classifications are not meant to state any rules or regulations as far as what villains writers can write and what stories or genres they can or cannot place them in. Consider them a compass that can lead your development process into what will eventually become the true strength of your script. Beyond that, go through this list and see what names are missing. Where would you classify those missing villains that you come up with, and why? Let us know in the comments below. Of the villains represented on this list, which could you mix and match into other villain types? The point being is that these fifteen villain types allow us to explore the hows and whys of the villains that we are developing for our scripts -- at least in the most broad of terms. Where the magic truly enters is when we find those gray lines to explore between any of these fifteen examples, because, as Roger Ebert said in the quote above, all too often the heroes and gimmicks are all too familiar throughout most movies. It’s the villains that can transform scripts. It’s the villains that can make an otherwise routine concept or premise seem fresh and new.